Ready for a garage? Call Your Project Loan! To start, when you remove the garage from your home, you can suddenly focus on something other than the two glaring garage doors. On an attached garage home we call this focus “garage-forward” even with nice doors they often distract from even the most beautiful architecture. Whether it’s the exhaust from the car as you’re driving it in, the fumes of any chemicals you might be storing in your garage space, or the scent of any workshop projects, a garage can be an air quality sinkhole. 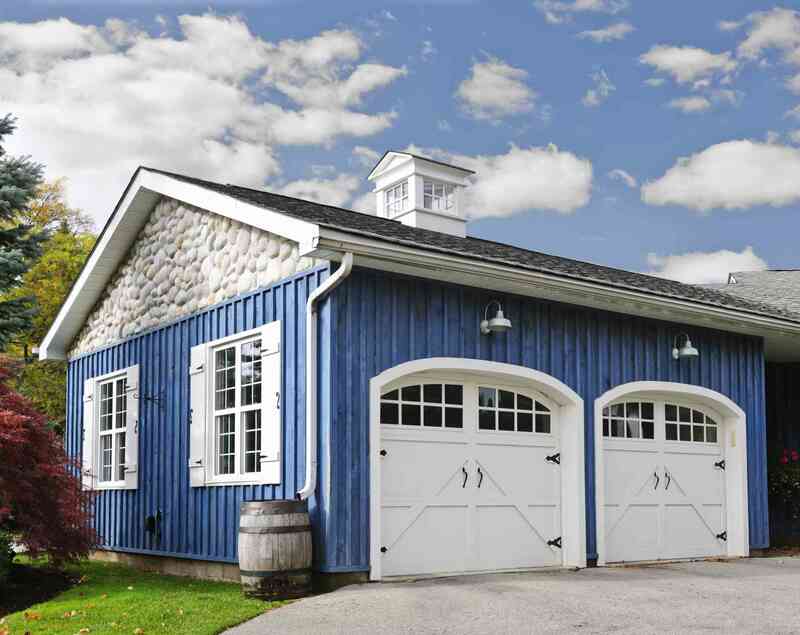 When you move your garage away from home your indoor air quality will improve exponentially. 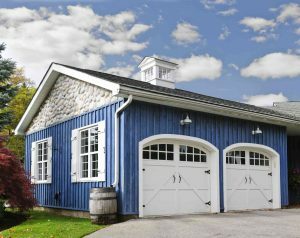 Many homeowners, even the most casual DIYer’s, will use their garage as a workshop space. This often means that there are a variety of chemicals, noises, and messes that you likely do not want entering your home. Keeping the garage and home separate will eliminate the spill over. If you work from home, you may find yourself in the situation many of us do, in that it can be hard to get to and away from work. Moving your office to a detached garage where you have a short walk to work can help get your mind focused on the job and help switch it off when it’s time to head back home in the evening. In any home, the most dangerous part is often the garage. With the chemicals, cars, and equipment we’ve mentioned your garage is likely quite a fire hazard. By removing it from your home, you’re protecting your house and your loved ones should something happen. If one or the other catches fire, having them separate can limit the chances of the fire worsening, causing explosions, and spreading. This entry was posted on Friday, August 24th, 2018	at 12:37 pm	. You can follow any responses to this entry through the RSS 2.0	feed. Both comments and pings are currently closed.